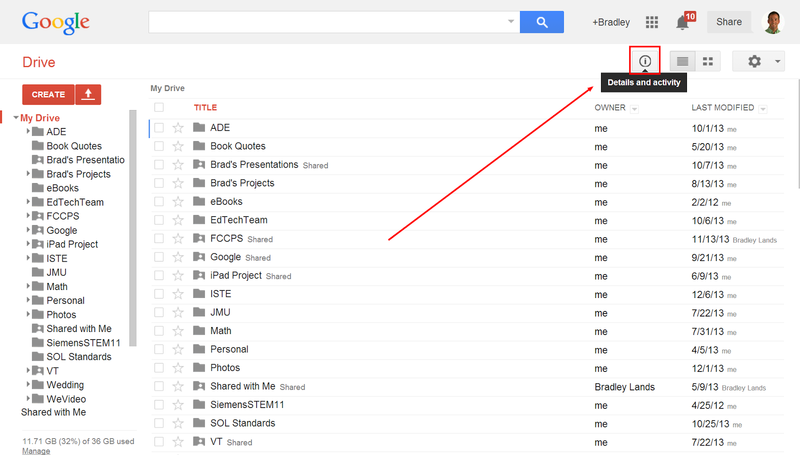 Did you know that Google recently added a Details and Activity icon to Google Drive? This new icon looks like this "ⓘ" and it allows users to see "details and activity" regarding files and folders in their Google Drive account. This is a very new update, so it might take some time before you can actually see the icon displayed in your Google Drive account. However, when this new feature finally updates in your account, you will see the "ⓘ" icon at the top right of your screen, next to the Grid and List View buttons. When you click on the icon, it will provide you with "details and activity" about your current selection. If you have recently selected "My Drive" it will provide you with "details and activity" in your entire Drive account. However, if you select a specific file or folder, it will only display "details and activity" about that specific file or folder. In the screenshot below, you can see that I have selected my Google Certified Trainer Docs folder inside of my Google Drive account. You can also see that I have selected the Details and Activity icon and then selected the Details button. 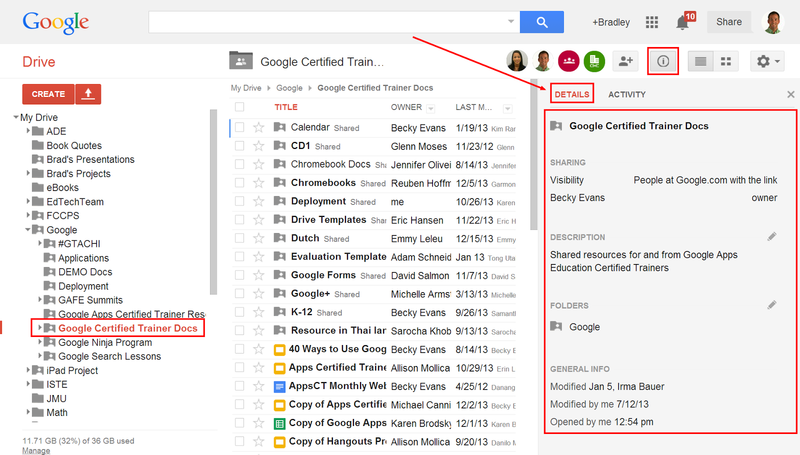 This displays the details of my Google Certified Trainer Docs folder. The next screenshot highlights the Activity part of the Details and Activity icon. 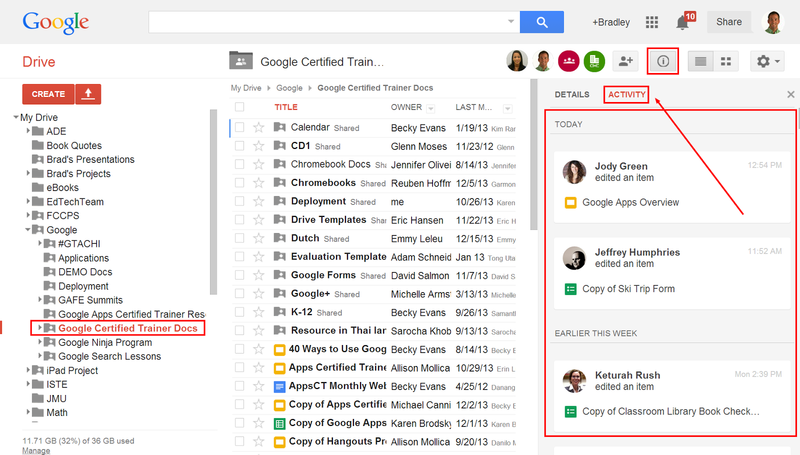 When I select Activity it will display all of the activity in my Google Certified Trainer Docs folder, starting by displaying the most recent updates at the top. This allows me to easily keep track of my activity, and the activity of others with whom I'm collaborating. Instead of always reverting to your "Revision History" for each of your files in your Google Drive account, consider using the new Details and Activity feature for quick and easy access. Consider using this new feature with your students in order to quickly and easily keep track of edits made on individual and group assignments in Drive.